The Lady Vols kept their streak of making it into the NCAA Women’s Tournament alive. Even if it was just barely. Tennessee (19-12, 7-9 SEC) snuck in to this year’s tournament field as an 11-seed in the Albany region. 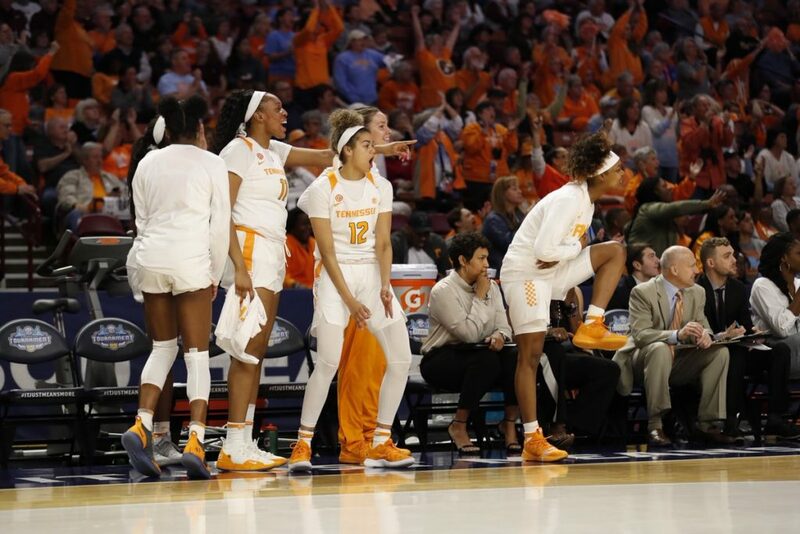 The Lady Vols were the only program in women’s basketball to make it into the tournament every year since it was first introduced into the women’s game in 1982 prior to this season, and they kept that streak alive. The Lady Vols will take on six-seed UCLA (20-12, 12-6 Pac-12) in the first round. Louisville is the No. 1 seed in Tennessee’s region, and UConn is a the two-seed in the Lady Vols’ region. Though the Lady Vols kept their streak alive, they set another unfortunate “first” in the Holly Warlick era. The 11-seed Tennessee earned for this year’s tournament is easily the worst seed the Lady Vols have ever earned. It’s the first double-digit seed the Lady Vols have ever gotten in the women’s tournament. Tennessee’s previous worst seed was a seven-seed in 2016. That team made it to the Elite Eight. Since the women’s tournament expanded to 64 teams in 1994, the 11-seed is just 31-69 against the six-seed. Last season, however, three No. 11 seeds beat No. 6 seeds. The only six-seed to get past their match-up with an 11-seed was Oregon State. They defeated Western Kentucky 82-58, then they went on to defeat the No. 3 seed Lady Vols in the second round. Other than that instance, the other 11-seeds got upsets against the six-seeds they were paired up against. The furthest an 11-seed has ever made it in the women’s tournament is the Elite Eight. That was attained by Gonzaga in 2011. That team ended up losing to No. 1 seed Stanford 83-60 in the Elite Eight. The Lady Vols are 18-1 all-time against UCLA. Their only loss to the Bruins came in 1981. The two programs haven’t played since 2011, and the Lady Vols have won 15-straight games against the Bruins.